The paper-based work is a companion piece to Taanila’s 2013 video installation My Silence. Here the point of departure is the published script of the feature film My Dinner with André (dir. Louis Malle, 1981). 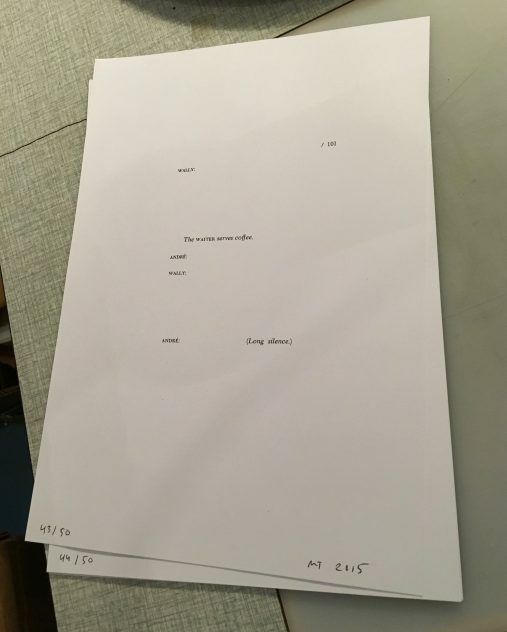 The artist photocopied each page of the book, cut out all the dialogue content using small knives, then re-photocopied the residue on standard office paper. 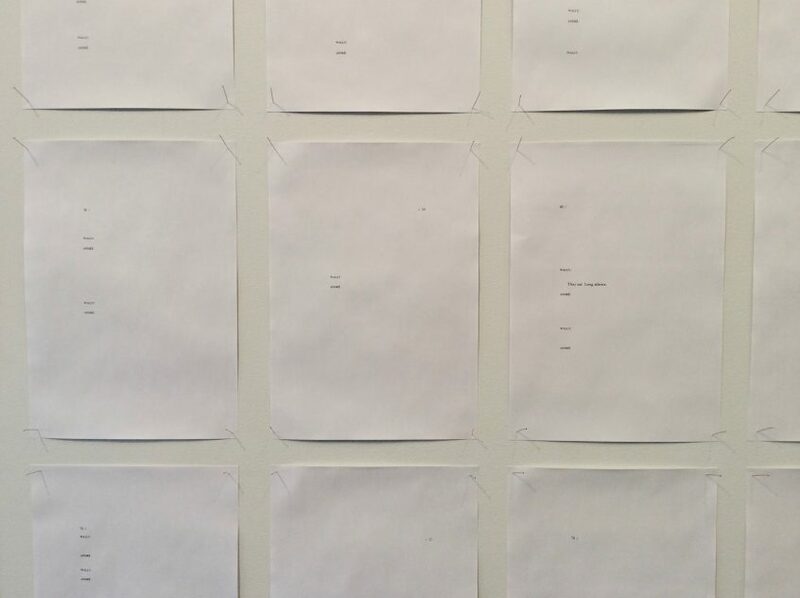 The piece is shown on a wall as a grid of 97 paper sheets. Additionally Fish Gallery in Helsinki produced an signed edition of 50 copies of page 101 of the work on thicker cardboard material.